"We look at this as extreme vandalism," the deputy director of the Ford presidential library says. 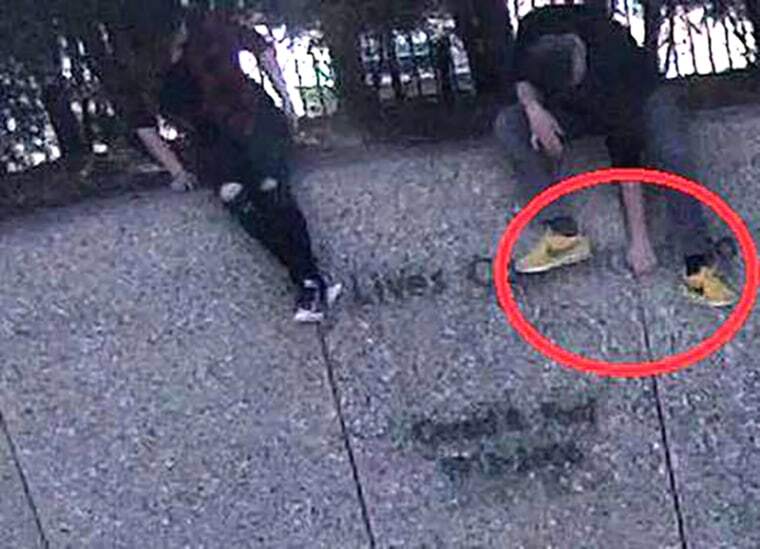 Police are seeking two skateboarders in what officials on Wednesday called "extreme vandalism" at the gravesite of former President Gerald Ford and first lady Betty Ford in Michigan. In security camera video, a young man and woman, possibly teenagers, can be seen approaching the gravesite at the Gerald R. Ford Presidential Library and Museum. The couple can be seen kicking a skateboard across the front of the memorial; then they hoist themselves to sit on top of it, where the young man appears to try to rip one of the letters out of the inscription. Grand Rapids police said the incident occurred March 27. "We look at this as extreme vandalism," Joel Westphal, deputy director of the presidential library, told NBC affiliate WOOD of Grand Rapids on Wednesday. "We look upon this site as an important site," Westphal said. "This is a presidential gravesite, and we're not happy." The former president died in December 2006. The former first lady died in July 2011.